Meltdown is an exciting 8 person interactive inflatable attraction. Two spinning booms rotate to challenge participants in a game of endurance. The higher boom forces participants to duck. The lower boom requires participants to jump. Meltdown is a “spin” off of a similar game from the TV show Wipeout. 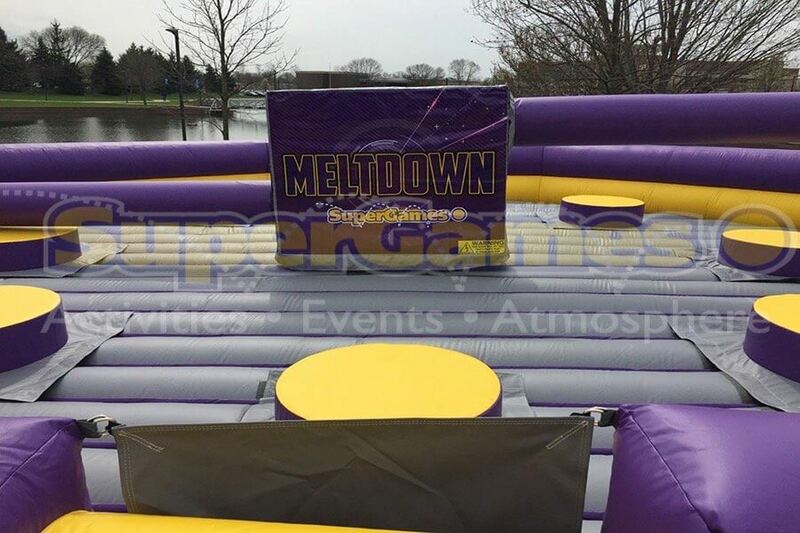 Meltdown is guaranteed to be one of the most popular interactive inflatables at your next event. As an interactive inflatable, Meltdown engages participants and spectators. Spectators will get the enjoyment of watching spills and skills. 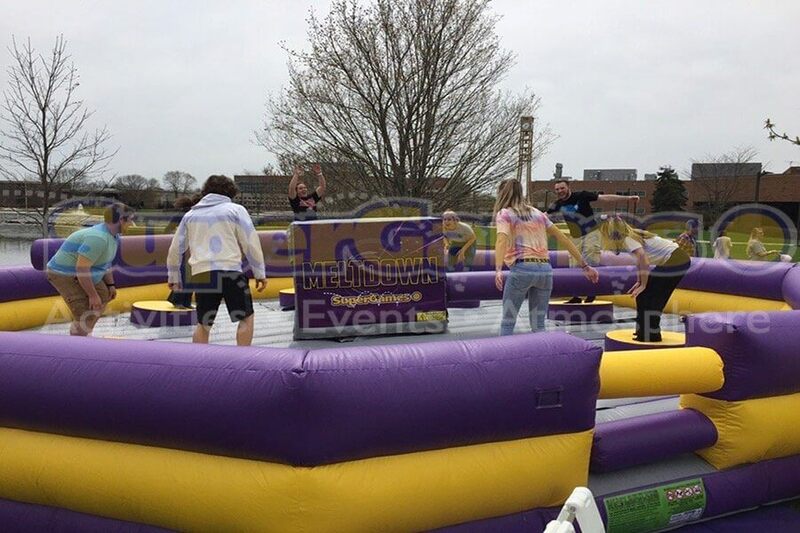 Participants get the satisfaction of defeating one of the best interactive inflatable activities if they can stay on the pedestal. Don’t get left out of the fun that Meltdown has to offer!